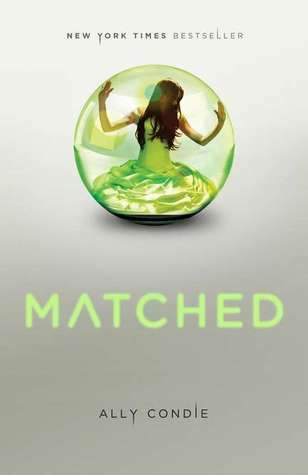 Review: This is one of those books that I've been meaning to read and just haven't... so with the second book in the series coming out shortly I decided it was finally time I sat down and read Matched. In a world where choices are few and far between, and demands are given on how to live your everyday life- right down to who they will be matched with and later marry, to the portions and selection for their everyday meals- Cassia finds herself in a position that not only affects herself but her family and her love interests. I enjoyed reading Matched. The story is fascinating; although I will say frustrating in some ways- mainly the society, but that's what happens when an author chooses to write Dystopian novels. The reader isn't supposed to like the "controller". My expectation for this book was very high, and I believe that made a huge difference in my overall reaction- I don't want to say it didn't meet my expectations, because it did, I truly enjoyed reading this. But there are were a few parts in which I was hoping for stronger reactions and more emotion (from the characters). The part of this story that I fell in love with the most was how beautifully poetic the writing was. Ally takes a plot and bases it around several poems that reflect the storyline s theme and give the reader insight into the characters thoughts! At the same time, I was heartbroken that they couldn't always keep the poems since the society didn't allow it. I questioned whether or not Cassia would really be able to memorize the entire poem that her grandfather gave to her- maybe that is just because I am horrible at memorization! lol. In the beginning I was partial to Ky. I enjoyed the fact that Cassia and Xander were best friends and despite all odds were matched. Its a book so anything is bound to happen... but seriously how cool is that! Was kinda hoping more would go on with Xander and Cassia's story. But once Ky's story was out and I was more familiar with him, I began to really like his character. He seemed to have the qualities of a young man that any younger girl would want to date- or maybe I'm speaking for myself? Brilliant, caring, and strong-willed. A character I loved- Cassia's mother. I give that character so much credit. She reminded me of my mother in many ways. Always wanting to obey the rules and stay quiet. Taking the blame for things only if need be- and to other people her personality seemed cowardly and scared, but she was complete opposite that. She is smart and brave and puts her family above all else. Horray! 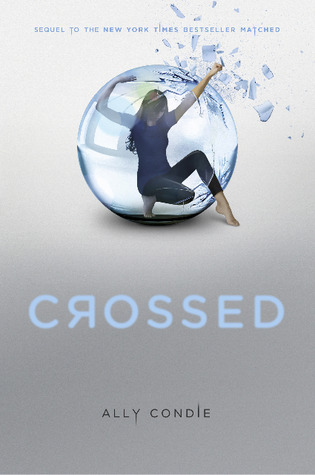 Dude I loved this book and Crossed is just amazing. Way more drama!! !